I’m home for a couple of weeks, and I’d been talking with my mum about all the weird and wonderful things southern California has to offer. 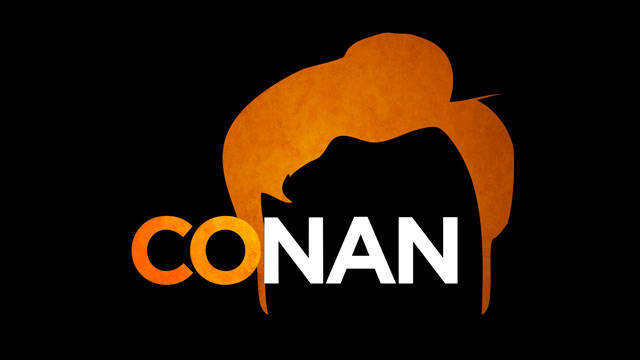 So she surprised me with a special treat – tickets to go see a live taping of my favorite late-night show, Conan! We went into Los Angeles for the show, and the best part was seeing all the cool behind-the-scenes stuff that goes on in Hollywood. The second-best part was that it was free! After a long wait, we finally got bussed over to the set, which is right in the middle of the Warner Brothers’ studio lot. As you walk in, there are two giant superhero statues of Conan before you get onto the actual set. First a warm-up guy came out to go over the rules and get people laughing, then Jimmy Vivino & the Basic Cable Band played some music, Andy Richter set up…and Conan finally came out! He even did the ‘string dance’. Conan was hilarious, and he’s actually even skinnier and taller in real life than he looks on T.V. (Google says he’s 6’4).He’s also really jittery – he was always moving around and fidgeting in between takes. And all the men’s voices were just a little bit higher than they sound on T.V. The guests we got to see weren’t anyone I was super stoked about, but they were nice – Jennifer Garner was a little spacey but really sweet, and Terry Crews was pretty funny. Tegan & Sara were the musical guests. Conan has a little surprise at the end of the show for the audience that doesn’t get shown on T.V. – but I won’t ruin the surprise! It was a bizarre experience to see something in real life that you’ve only seen on T.V., especially as it looks just a bit different. The set was just a bit smaller and more compact than I’d imagined, and some things were shot in different locations. Oh, and those ‘applause’ signs really exist! But of course, the main thing you don’t see on T.V. 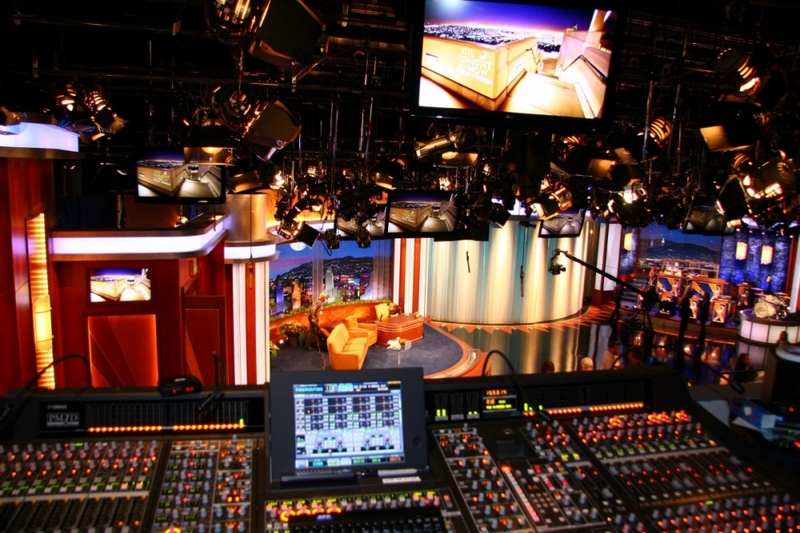 is all the lighting and cameras that the show uses. There were always about ten different cameras filming the show! Some were close-up shots that focused on one person, and others were on huge moveable poles. All the cameras were on wheels and were quickly rolled around between segments. The band only had time for one quick song between segments. This is an incredible efficient production. The whole show aired on T.V. just an hour after we got home from the taping. As you’re sitting in the audience, screens show what’s being filmed – and the footage is almost exactly what you see on the T.V. show. They did cut out a few seconds of the celeb interviews, and some of the laugh track is enhanced on the weaker jokes. But everything that Conan does is exactly how it is on T.V. – there are no second takes. Even when the show was done taping, there was still something interesting to be seen – they took you through the active studio backlots to get back to your car. Each stage had a sign outside listing the movies and T.V. 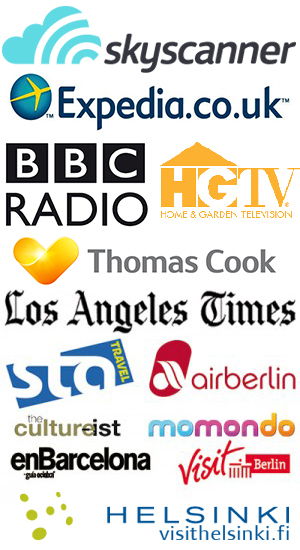 shows that had filmed there. 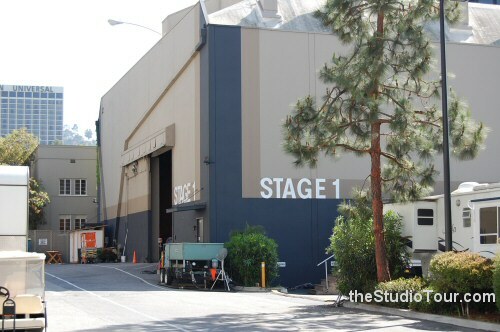 We saw stages for Inception and Ocean’s 11, the trailers for the cast of Two and a Half Men, the permanent parking spaces for the West Wing, and even caught a glimpse of the actors from Suburgatory heading to set for a day of filming! You request the free tickets at teamcoco.com, and you don’t know who the guests are ahead of time. Tickets aren’t guaranteed, but my mum got them on the first try. If you wear bright colors, it’s easier to see yourself on T.V. later! The studio is freezing cold! It’s something to do with the lighting. So bring a jacket. You can’t take your camera in, so no pictures. I was so disappointed! They make you wait around a LOT before the show starts – we had to wait in a parking structure for nearly 3 hours! Get there early, get your number to hold your spot in line, then go do something else. Universal CityWalk is close by and fun. Although the wait time was ridiculously long, getting to see the show was amazing. Did I mention that it’s free? After this experience, I’m Team Coco for life! My favorite host EVER! I watched that show with Jennifer Garner, by the way! I never got to see Conan while he was in NY, but I went to one of his shows in Philadelphia — when the Leno thing happened and he was touring — and he really is tall. So cool you got to go. Oh how funny that you watched that episode! He was so hilarious when all the Leno stuff was happening, so I bet his Philly show was awesome! You got to see Conan, I’m so jealous! I never went to see him either when he had his show in NY. But I also got to see his Legally Prohibited From Being Funny On TV Tour comedy show he did two years ago before he got the TBS show. I saw it in Boston with my dad (who doesn’t really know who Conan is but he enjoyed it too) and because Conan is originally from there, it was a hometown crowd and the energy was great. And I LOVE Jennifer Garner, mostly because I was a a huge, huge, huge Alias fan when it was on TV and I have all the seasons on DVD. Oooh that must have been fun! I bet it’d be cool to see Conan in his hometown. Did he have that crazy beard then? Ah that’s so cool! Thanks for the backstage look! While I enjoy Conan, what I’d really love is to go to a taping of The Daily Show one day. Yeah, I bet the Daily Show is awesome! I love Jon Stewart, and he usually has great guests. Doesn’t Conan tape in a Warner Bros studio? Universal is where his Tonight Show used to be. Oops, you’re right! It’s right behind Universal Studios’ lots so I mistook them for the same thing, even though the Warner Bros logos were on everything. Haha thanks for pointing that out.